A trip to Davao would not be complete without sampling their seafood, particularly their tuna. Thank you to our gracious host Mr. 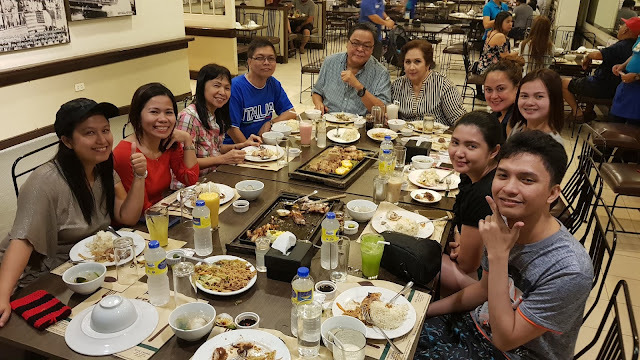 Boy Angeles for inviting our team for dinner at Yellow Fin Seafood Restaurant. 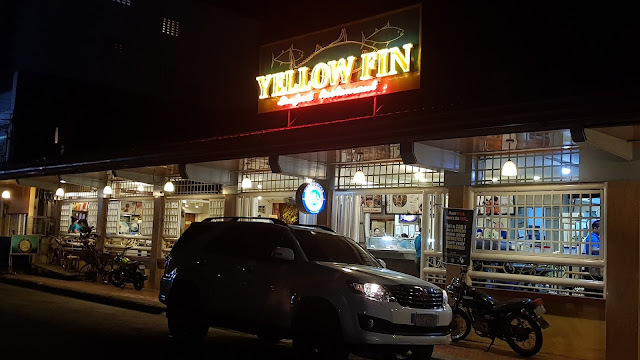 Yellow Fin Seafood Restaurant is strategically located at Quimpo Boulevard, Matina, Davao City. 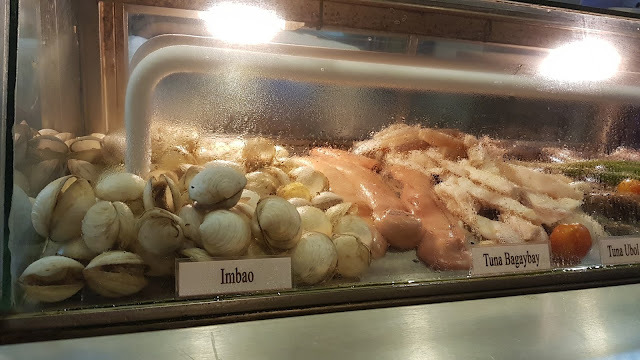 You can find great selections of seafood here cooked in different Filipino style dishes. 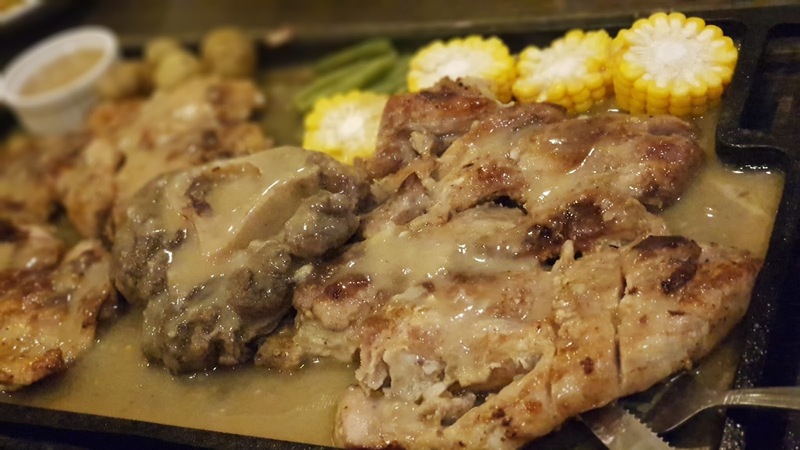 Just 2 minutes walk from Viajeros Inn, you can already have a taste of Davao on a plate. You will be welcomed with a karendirya /cafeteria-style dining, take more steps and you can see their separate air-conditioned dining area for customers who preferred that restaurant feel. The restaurant also features a photo gallery of "Old Davao" which adds to that "mala-museum appeal". 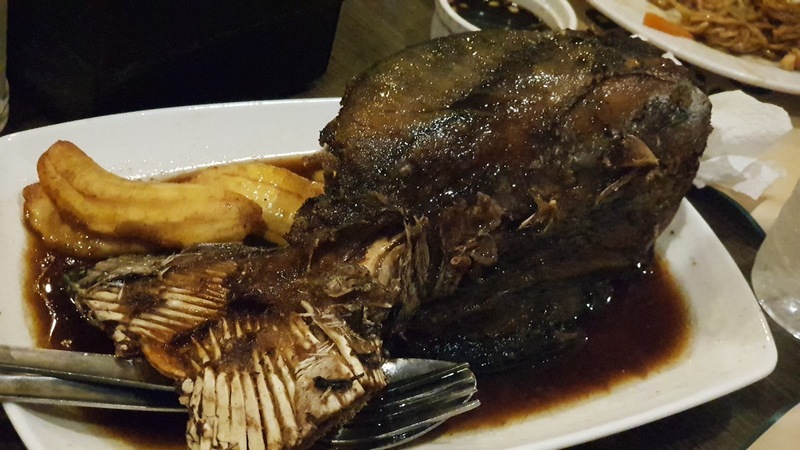 Yellow Fin is indeed a pride of Davao. For starters, we had imbao soup - a clear clam soup with ginger and lemongrass. It's light and refreshing and a perfect starter for a seafood main dish. A clam soup for the soul. If you love seafood, then the seafood platter is perfect for you. The plate is filled with an assortment of seafood, such as Tuna Belly, Pusit, Shell fish and the famous "Bagaybay" (a local term for fish sperm....wahhh!) smothered in garlicky buttery goodness that melts in your mouth. 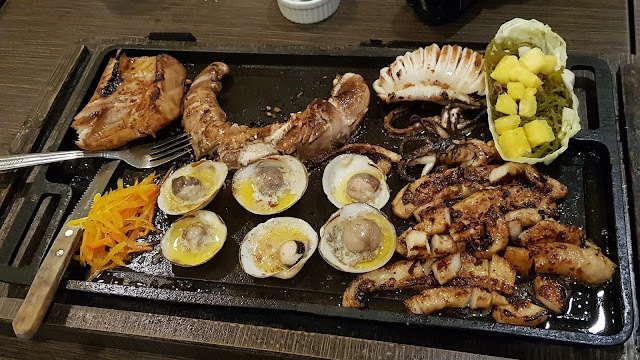 The sizzling meat platter is also to die for. Filled with beef, pork, chicken bathed in that special gravy sauce. Sauce palang ulam na! Another best-seller is their Tuna Buntot. The locals loves that "litid" part of the tuna buntot. Pero hinay hinay din sa pagkain, it's more on the fatty side and like eating that crispy pata litid. 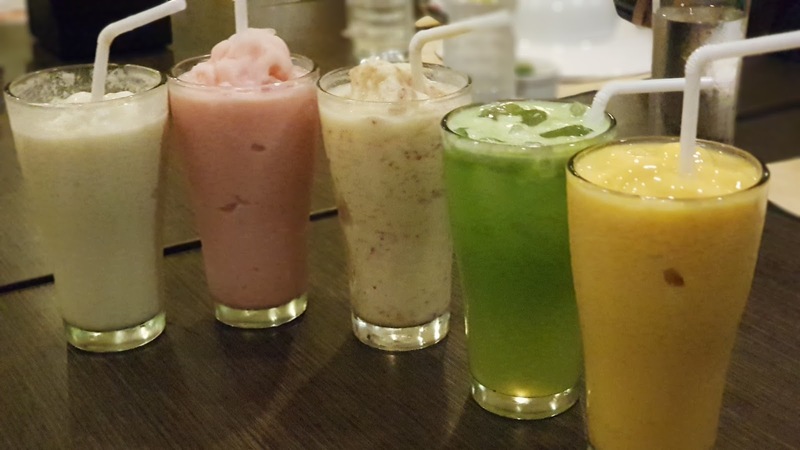 They also offer a variety of fresh fruits shakes too. We had durian, pomelo, apple, cucumber and mango shakes. Daghang Salamat Yellow Fin Seafood Restaurant. 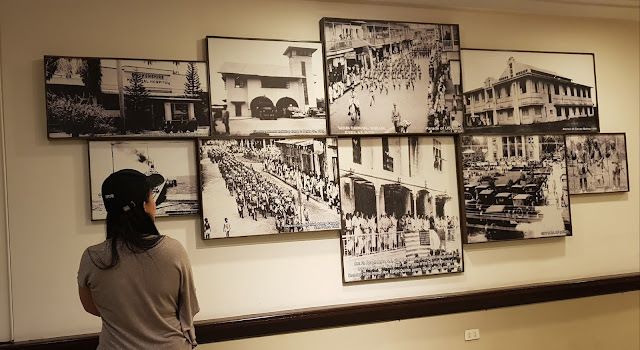 Lamian Nga Imo Gyud Balikan! 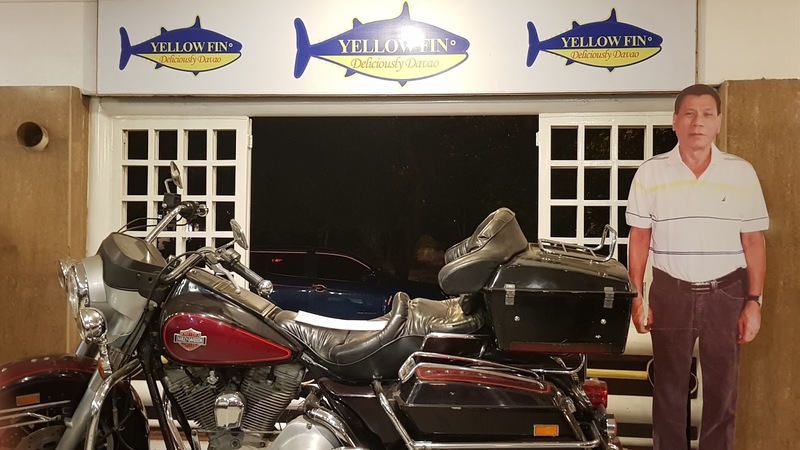 Yellow Fin Seafood Restaurant is a family-owned business based in Davao City, Philippines. 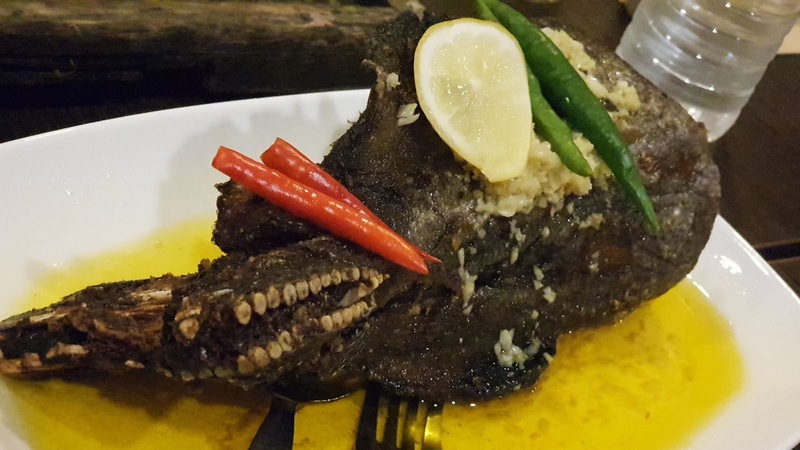 Serving a wide variety of fresh seafood and Filipino dishes and is now noted by many as the pride of Davao City.